Unwrap the story of Jesus’ birth in an easy, hands-on way. Connect a key Bible verse and devotional to one piece of the Nativity each day. Create anticipation and excitement as you build the Nativity day by day. “This is a wonderful way to teach children the true meaning of Christmas . . .
Do you have a sample to see what the devotion is like? Yes! 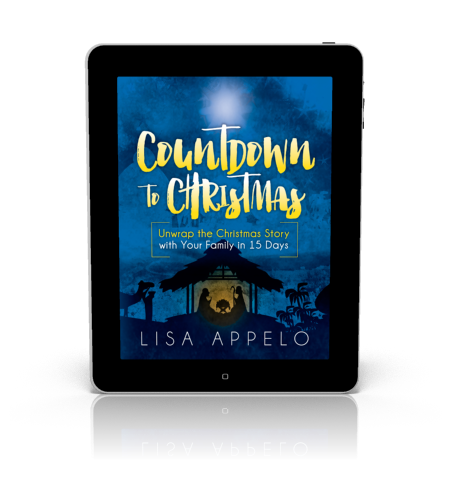 Amazon has a sample of Countdown to Christmas here. What ages can Countdown to Christmas be used with? 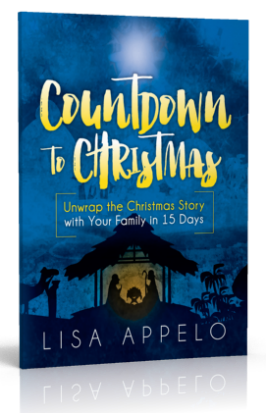 Countdown to Christmas is written to be used in a family with children of multiple agesg. This devotional will engage your preschoolers while providing insight and interest for your teens. 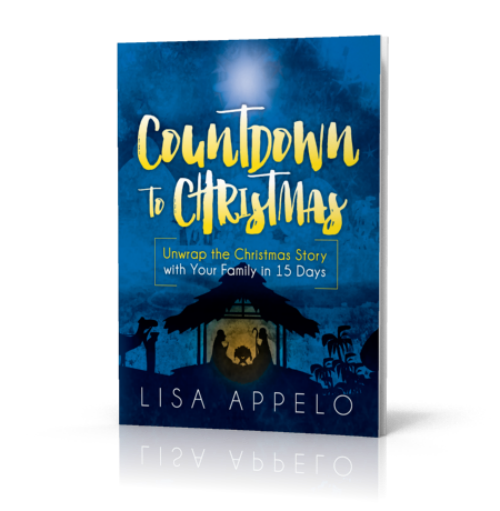 Countdown to Christmas is a family devotional — even parents will find depth to prepare their hearts for Christmas. What kind of Nativity set can be used with this book? Most standard nativity sets will work fine with your Christmas countdown. I like to have one kid-friendly manger scene completely accessible to my kids. They can re-enact the story and rearrange it throughout the season. We’ve used a hand-made wooden set, a Playmobil® manger set (super popular with my boys) and a beautiful resin set. What kind of time commitment does this involve? Look, I’m a single mom of 7. This book was written to be open-and-go while providing rich content. The Bible verses are printed in the book, though you can read them from your own family Bible. Application questions are woven into each devotion to help engage young minds. It takes our family 15 minutes for 15 days or nights before Christmas. If you miss a day, just double up the next day. Your family can add a Christmas carol or prayer time to round out your devotion time. 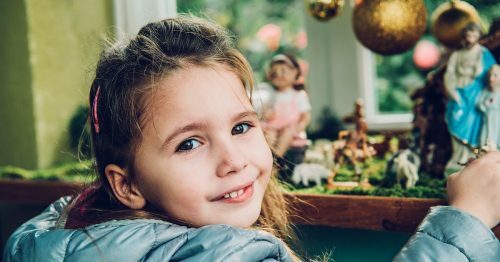 I pray this becomes a beautiful tradition for your family to help you teach the meaning of Christmas and make treasured memories with your children. P.S. For a FREE downloadable print of the scriptures used with nativity pieces, click here.